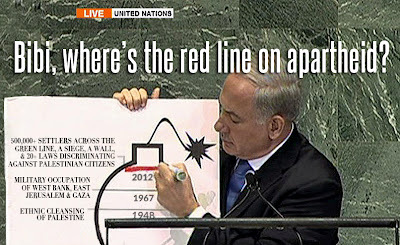 Blog to End the Occupation: Bibi, Where's the Red Line on Apartheid? An alternative take on Israeli Prime Minister Benjamin Netanyahu's speech to the U.N. General Assembly. Enjoy.